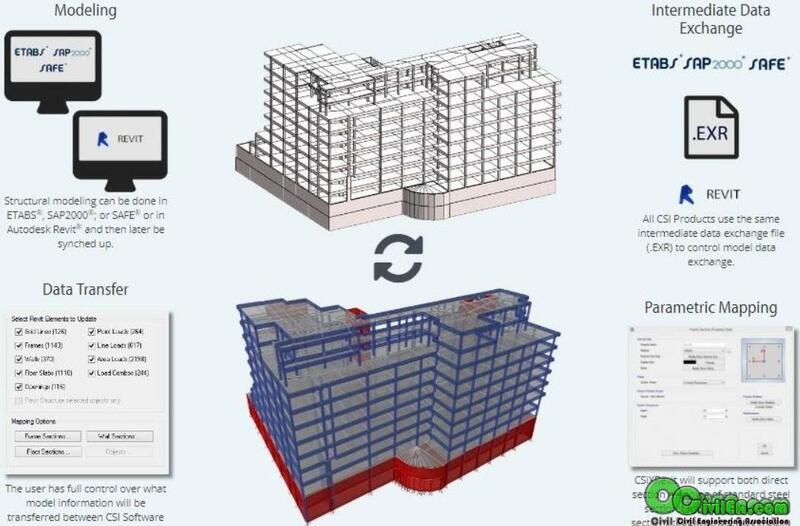 CSiXRevit is a plugin for Autodesk Revit® that enables bi-directional data transfer to CSI Software products: SAP2000®, ETABS® and SAFE®. Exporting from Revit® to create a new CSI Software model. Exporting from Revit® to update an existing CSI Software model. Importing from CSI Software to create a new Revit® Model. Importing from CSI Software to update an existing Revit® Model. Users have full control over what model data gets transferred and how that data gets mapped to equivalent objects in either software. All softwares found in this site are for educational purposes only. If you earn money using this softwares, it is highly recommended to buy a license.